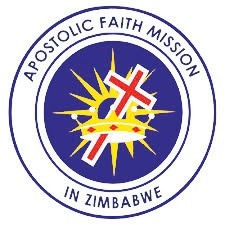 ZVISHAVANE – Women at the Fountain of Life Assembly, an AFM church in Nil Township in Zvishavane sobbed when news broke out that their pastor was being transferred to Mhandamabwe in Chivi. Pastor Onwell Harukanganwi’s departure caused commotion at the church as some congregants walked out of the church while others boycotted prayers for some days. Efforts to get a comment from Peter Gondo who is the overseer were fruitless as he was said to be in South Africa. Harukanganwi was not reachable for comment. Board Secretary Bright Chinguwo said there is no going back on the decision. “We come to church to pray God not human beings. The board has made a decision and you have to respect it because we are doing what is best for the survival of the church. We will see those who pray to a pastor not God but true believers will remain in the church and respect which ever pastor comes”, he said.